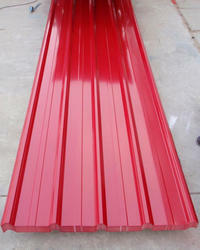 We are manufacturer and to provide the customers with a commendable Industrial Galvanized Roofing Sheets. These flawlessly designed and developed range of gal volume profile sheets can be made available in different finish specifications as per the specific requirements of the clients. 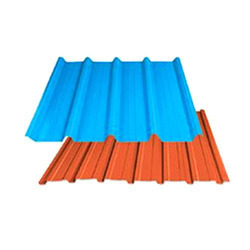 We are offering our valued clients an impeccable range of Galvanized Color Coated Roofing Sheets. Manufactured by making use of high-grade iron and alloy, these products conform to the defined parameters of the industry. Conforming to the defined parameters of the industry, these sheets are apt to cover open sheds. Looking for Galvanized Roofing Sheet ?